The Kitchen is no longer a utilitarian space, but fast becoming the new living room. At Contour we pride ourselves in being able to marry functionality and comfort, creating unique spaces in which the family can come together to cook, eat, socialise and relax. The Contour Studio is located in Montpellier Cheltenham and houses a contemporary collection of Leicht kitchens that showcase the very best of German engineering and design. 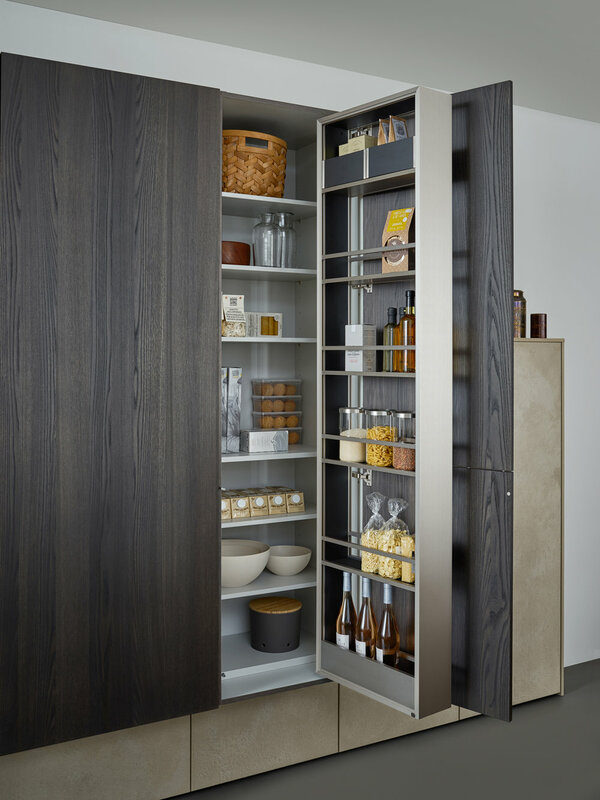 Our fully working displays demonstrate the latest interior trends and almost limitless possibilities this beautiful German kitchen furniture has to offer. To download a Leicht brochure please click here. We are proud to collaborate with prestigious appliance partners including Gaggenau, Siemens, Neff and Bora. Our Cosentino elite status gives us access to the very highest quality of Silestone quartz and granite. Many of our designs also feature the luxury wood Spekva.